The building now known as Hall Auditorium was completed in 1908, being renamed in 1969 after Miami's fifth president, John W. Hall. A top-to-bottom renovation of the building, completed in 1992, replaced old equipment with state-of-the-art light and sound systems and created a beautiful, warm, acoustically precise venue with a new stage that is almost double the size of the old facility. Hall Auditorium is the site for most of the Music Department's large concerts, as well as many concerts produced and supported by the university's Performing Arts Series. 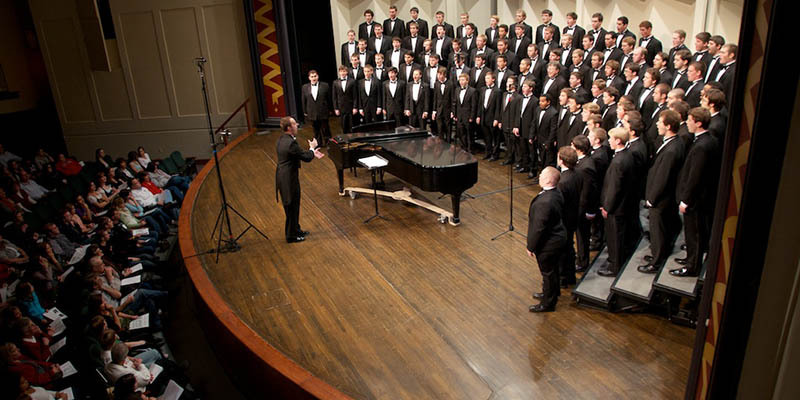 With a seating capacity of 735 and a location just a block from "uptown" in Oxford, Hall Auditorium is a convenient point of contact between Miami University performing artists and the public.